PaverSearch.com is dedicated to being a leading landscape and paving resource by connecting homeowners with qualified landscape professionals, suppliers & resources. PaverSearch.com provides a wealth of free landscape and paving information, news, links, products and a variety of resources for homeowners and professionals alike. Membership on PaverSearch.com is FREE for homeowners and professionals, with the most generous, feature-rich and reliable services for advertisers. The PaverSearch.com team has decades of landscape and paving experience. 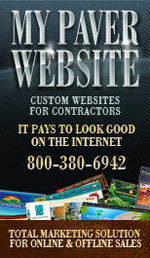 We currently host over thousands of web sites for small to large customers, web masters and businesses across the globe. Our friendly and expert staff have experience in most every hosting related technology imaginable. PaverSearch, Inc. is a privately held, debt free and rapidly growing company. We leverage numerous products and services combined with innovative technology to provide a superior service. Our site is fully secured with the latest server technologies with a redundant high speed fiber optic network backbone. 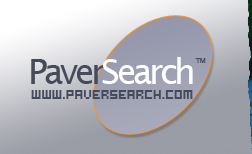 Read the latest Press and News Releases about Paver Search. :. Homeowner Resource for Pavers and Paving Contractors – Just Got Better! We invite you to compare us to other online services. Don't just compare costs, compare the viewing experience, the features, the tech support and other important aspects. You won't find a better value than PaverSearch.com. Our support desk is staffed by knowledgeable and friendly support technicians, ready to assist you with any questions. Members, please log-in here to access your private account. Stay on top of the latest landscape and paving industry news and special offers by subscribing to our FREE eNewsletter. Enter your e-mail address and submit.